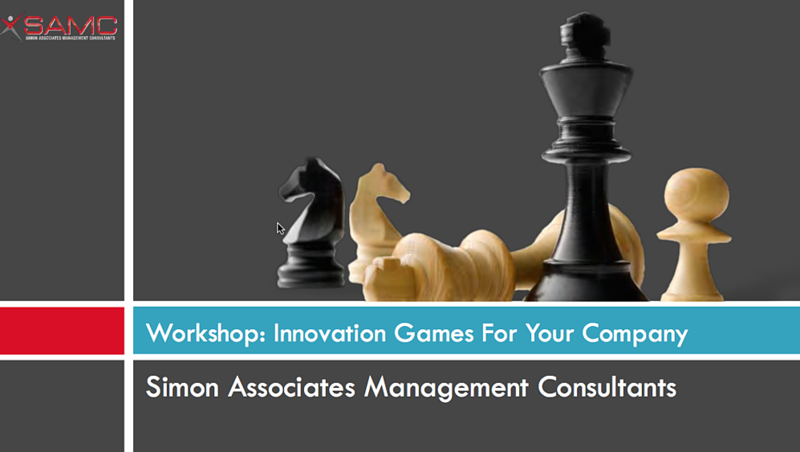 LP Request for Workshop download: "Innovation Games For Your Company"
Thank You for your interest in our SAMC Innovation Games® Workshop! Designed to help organizations create a process of innovation, the SAMC Innovation Games Workshop will help you learn its methods and benefits in this informative workshop session. We'd like to tell you more about how Innovation Games could help your company “see, feel and think” in new ways and convert those new ideas into effective innovations. Please contact us.